Asset Building Programs - Portland Community Reinvestment Initiatives Inc.
PCRI’s mission is to preserve, expand and manage affordable housing in the City of Portland and provide access to, and advocacy for, services to our residents. Over the course of our twenty year history, PCRI has stabilized thousands of families by providing them with affordable rental housing and asset building programs and services. We also support our residents in building wealth and were the first organization in Oregon to have a home ownership program tailored to African Americans and reducing the minority home ownership gap. It starts with Financial Wellness. The Financial Wellness Program is designed to help participants manage their personal finances effectively and make wise financial decisions. The Financial Wellness Program assists clients with establishing personal budgets, evaluating debt loads, setting financial goals, and developing a plan of action. Services are delivered in a one-on-one and group setting. For more information about Financial Wellness programs or IDAs, contact Suzanne Veaudry Casaus by email or at 503-288-2923 x122. The Homebuyer Education and Counseling program is designed to help families access and maintain stable homeownership. Services include individualized pre-purchase counseling, group homebuyer education, financial fitness certification, down payment assistance, and post-purchase support. PCRI’s Homeownership Retention program objective is to foster homeownership stability for low-moderate income homeowners, aged 55 and older, living within the City of Portland. 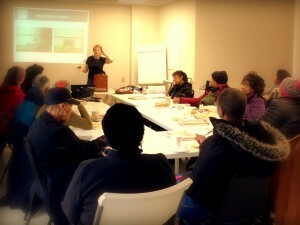 This program is designed to prevent community displacement and assist elders with aging in place. We provide post-purchase education and counseling, advocacy (property taxes, home insurance, code violations, etc. ), and urgent home repairs.